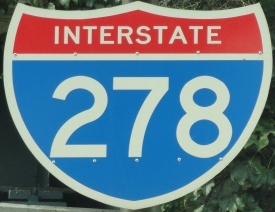 Interstate 78 runs east-west across Northern New Jersey. It runs from the Pennsylvania/New Jersey State Line, near Phillipsburg, to the New York/New Jersey State Line, at Jersey City. 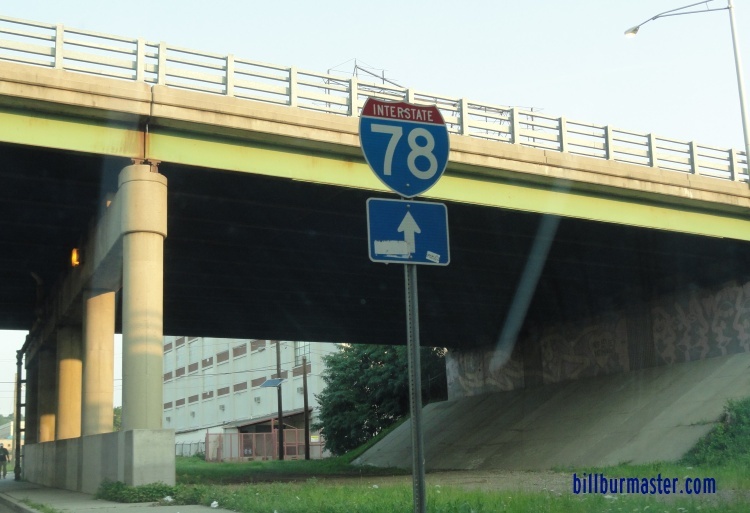 Parts of I-78 runs along the Newark Bay Extention of the New Jersey Turnpike. At the New Jersey/New York State Line, it goes through the Holland Tunnel. 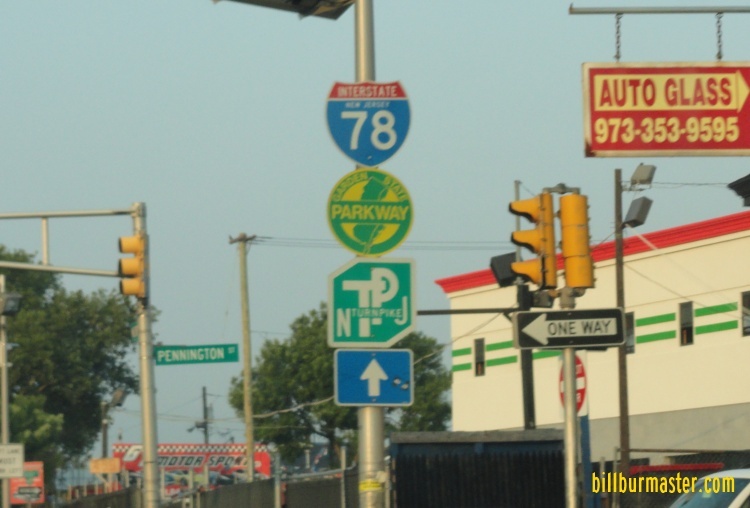 While in New Jersey, I-78 is multi-plexed. ...U.S. Rt. 22, from near Phillipsburg to near Clinton. ...New Jersey State Route 173, near Perryville. ...New Jersey State Route 139, at Jersey City. 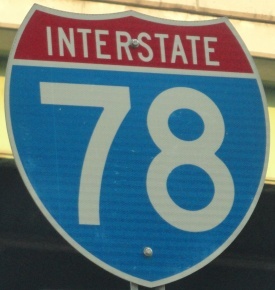 In New Jersey, Interstate 78 intersects the following highways. 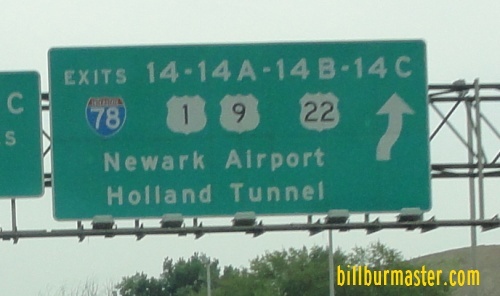 Interstate 95, (New Jersey Turnpike) at Newark. 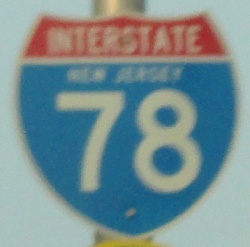 Branches of I-78 in New Jersey. 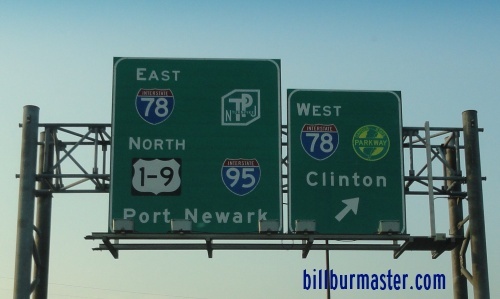 A set of guide markers on SB NJ St Rt 21. A BGS on SB NJ St Rt 21. A gide marker in Newark. A BGS on SB I-95/NJT. 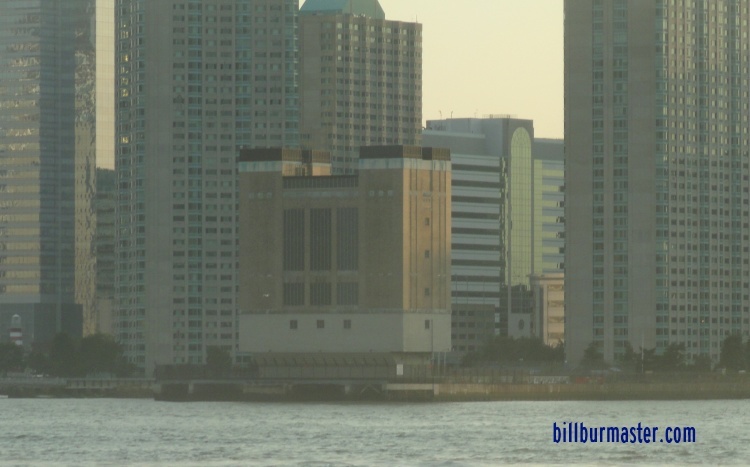 The vent shaft for the Holland Tunnel/I-78.